Sometimes expat life can be your chance to do what you’ve always wanted to do. After she moved to – and fell in love with – Luxembourg, Swedish Pernilla Linder found time and space to write. Today, she is a published author. Pernilla Linder comes walking up the hill from “her” valley, the Pfaffenthal, and is all smiles and firm handshakes. Perhaps a hint of a grimace when she spots the camera, but as soon as she gets her coffee with milk the way she wants it and starts talking, she forgets all about the photographer. She talks easily and eagerly, hands and eyes accompanying her words. Her words crescendo when she talks about Luxembourg. It was an instant like the minute she set foot on Luxembourgish ground 18 years ago, with her husband and a baby daughter too young to set her tiny feet anywhere. They meant to stay for about three years, then they stayed a little longer, then along came a baby boy, and then they bought a house – a familiar story to many Lux expats. And so they ended up staying long enough to really settle in, to get an international circle of friends, and to witness changes in Luxembourg. “Beautiful walks in the Vallée des Sept Chateaux and Petite Suisse, Clervaux with the Family of Man photo collection, vineyards, biking along the Moselle… and then there’s the closeness to everything, it’s so easy to take the car and just go somewhere.” She’s on fast forward now. She hits the stop button, and keeps some of her Luxembourg treasures to herself. Pernilla’s love for Luxembourg is there between the lines in her book Black Water; a story of three strong women, each in their own way, and each of them with a strong connection to Luxembourg. Through them, she gives the reader glimpses of Luxembourg during World War II and today: Nature and culture, multilingualism in schools and on the streets, EU institutions and bank palaces, cross-border workers. And through the story runs the river Alzette. Linn struggles with “vous” and “tu”, coming from a country with fewer formalities, and is puzzled when she’s offered cognac or cider with the crêpes, coming from a country where they have milk with pancakes. She befriends a feisty young woman from Cape Verde and an Italian man born and raised in Luxembourg who always went back to la nonna when his friends went on scout- or tennis camps. Little by little, she discovers the vineyards of the Moselle, the cuteness of Echernach, the nuts of Vianden, the railway model-like landscape of the Ardennes, the joviality of Bonnevoie, and the charm and character of the Grund. And then the sun comes out and gives colour to everything grey. Pernilla got the idea for the book when she visited an exhibition of Luxembourg during WWII at the National Museum of History and Art some years ago. Afterwards, when she walked the narrow cobblestone streets in the Grund as she often does, she could hear the sound of German boots marching, and history came alive. “Luxembourg couldn’t do anything, they were at the mercy of the enemy, a tiny country run over”. At about the same time, she experienced flooding in the Grund, and as the water climbed higher and higher up on the old walls, the wheels in her head began to turn. She started to write, and she wrote for 1 ½ years. Pernilla can often be spotted walking in the Mudam area. Her daily walks distance her a bit from her writing, and things will fall more into place when she comes back. Another distance creator is singing, because she has to let go and concentrate on the music. Besides, she loves to sing. The Chorale Mixte du Conservatoire de la Ville de Luxembourg is also partly where she learned to understand Luxembourgish. It seems the only similarities between Linn and Pernilla are geographical: They both live in a house by the Alzette river, and they both come from Örebro in Sweden. Pernilla grew up in the tiny village of Hällefors in Örebro county, with less than 5000 inhabitants. “Living in a place where nothing happens makes you creative. You have to come up with things to do yourself”. For Pernilla, one of those things was writing. She made her first children’s book at age 9 or 10, and beamed with pride when her teacher mum used it in her class. One summer, she took the ferry to the island of Gotland with her grandparents. While everyone onboard got acutely seasick in the strong winds, 12-year old Pernilla sat alone in the restaurant and wrote to the beat of the salt shaker sliding back and forth on the table. When the ferry docked, she had finished 3 or 4 chapters of a book about horses. 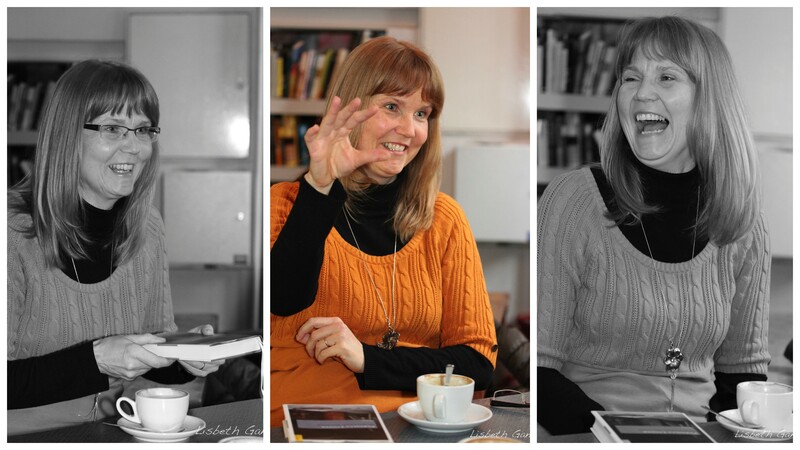 “I have no idea what happened to those chapters, but that’s when I realised how very hard and time consuming it is to write an entire book”. Childhood memories from a Swedish summer, and she misses those, the winters too. And her job as a reporter at Radio Stockholm, the buzz and stress of radio. But she doesn’t miss it enough to go back. Where to next in Europe? Who knows, but maybe Normandy? Pernilla has a dream of a house in Etretat, and the mere thought of this beautiful region makes her glow. She’s working on that. The research for her second book is done, but it’s a big project and it’s going to take a long time. She quickly hits the stop button this time, and will only reveal that the book is not set in Luxembourg. While mentally preparing for this new book, she wrote a children’s book this summer, and was thrilled to have a 15 year old girl illustrate it. She’s also working on a book for older children. And in between she reads. “If I don’t like a book after about 1/3, I put it away. Life is too short for bad books”. Fast forward again – and then she walks back down the hill towards the river. 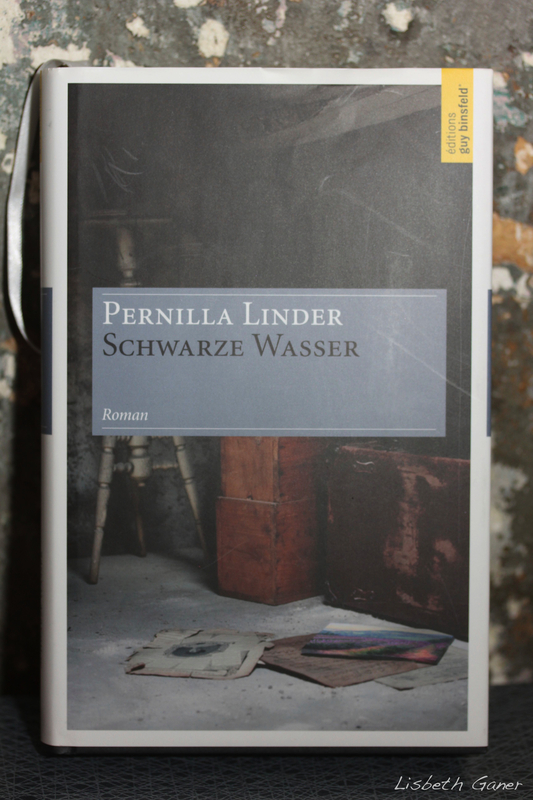 Black Water was published in German (Scwarze Wasser) by Editions Guy Binsfeld in 2010, and in Swedish (Svart Vatten) in 2011. For more information, visit Pernilla Linder here. Good luck with lots of new books! It’s pretty worth enough for me. In my view, if all website owners and bloggers made good content as you did, the web will be a lot more useful than ever before. Thank you so much! And comments like this makes it more than worth it for us!